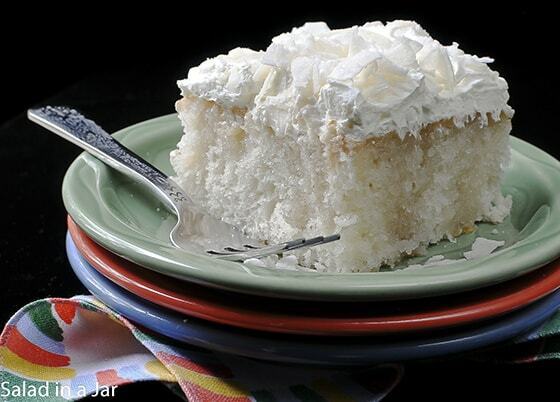 Amie’s Triple Coconut Cake features a triple hit of coconut: coconut milk, cream of coconut and shaved coconut. You need this easy recipe if you are a passionate coconut lover! A good drenching with cream of coconut makes this cake moist and flavorful. Have you ever remembered you were supposed to bake something for the office party or a school function at 10:00 the night before just as you were ready to crawl into bed? Hopefully, I’m not the only one. Most of the time I’m too proud (unfortunately) to run by the store and grab something in a hard plastic container, so I keep a few tricks in my pantry. I got this Triple-Coconut Cake from Amie, one of my favorite co-workers. The coconut freaks at my job, including me, go crazy when she brings this cake. All of these ingredients can be stored for months in the pantry, or the freezer. It’s just my kind of recipe as I would rather do a hundred push-ups than make a midnight run to the grocery store. I don’t know the origin of Amie’s recipe. However, I made a few changes. Coconut milk makes the cake taste more decadent and less like a cake mix. However, if you don’t have coconut, you can certainly use water, instead. I don’t use a cake mix very often but my attempts to make this cake from scratch were unsatisfactory. The light and airy texture of a cake mix will soak up the cream of coconut better than any of my own recipes. In my opinion, heating the cream of coconut helps the cake to absorb it readily. While we’re on the top, coconut milk and cream of coconut are radically different and are not interchangeable. Cream of coconut is VERY sweet. Coconut milk is not. 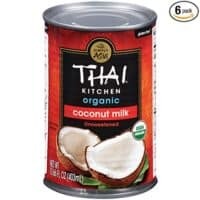 Coconut milk (often found in the Hispanic or Indian section of a grocery store) goes into the cake batter. Pour cream of coconut (found in mixed drinks area) over baked cake. Don’t confuse one for the other. Shredded coconut will still be delicious if you can’t find shaved coconut flakes. The large flakes are more attractive to decorate the cake instead of the smaller shreds. I used a k-bob stick to make the holes. Amie uses the handle of a wooden spoon for maximum absorption. Prepare cake mix according to directions on the box, substituting coconut milk for water in the mix. Bake in a 9 x 13 pan. Amie and I both thought the cake was done at least 5 minutes before the box directions predicted. Over bake and the crust will be too dry to absorb the cream of coconut. While the cake is still warm, poke holes all over the cake with a skewer. Warm cream of coconut for 1-1/2 minutes on HIGH in the microwave and pour over the cake. Chill for several hours or overnight. Frost with 1 container of thawed, whipped topping (i.e. Cool Whip). Sprinkle flaked coconut on top. Keep refrigerated. This is the BEST CAKE I have ever had or made ! We have a new favorite cake everyone loved it . I can’t believe how easy it is to make and how great it taste . Thank you ! Fantastic Paula! Glad to hear it. This might be the coconut cake recipe I’ve been looking for. I made this cake for my wife’s birthday. We both love coconut. I made two layers of cake from the single cake mix so the bottom of each layer was perfectly drenched with the cream of coconut with a thin layer of home-made whipped cream between them, on the sides and on top, as well. Topped it off with sweetened coconut shavings. She said it was the best cake she ever had. …even beat her mother’s cakes, but she can’t tell her. Very easy to make, my first, in fact. I don’t think it’s quite as good as a layer cake. But maybe you’ll have better luck than I did. Made Aimee’s Triple Coconut Cake today for an evening church family cookout. I went straight by recipe except for shredded coconut on light Cool Whip frosting. Did not start making cake until after church and was concerned 4 hours in refrig would not be enough to meld the coconut flavor. Wonderful!! It was a hit. Would not compare to scratch 3 layer coconut cake or pound cake made with cake flour, etc. Each stands alone and is enjoyed in different settings. Glad I came across this recipe. Will most definitely make again. Just wondering has anyone ever tried this recipe with a chocolate cake mix? The white looks real pretty and I am sure its good, but doesn’t chocolate and coconut sound so scrumptious??? By the way, in the interest of time and a laziness affliction I used Bakers flaked coconut and it was fine. My daughter is a coconut aficionado and so I used your recipe for her 30th birthday cake. After the party the cake pan looked as if a swarm of locusts had descended upon it. Everyone raved. What a great recipe! What really makes this cake is the cool whip (going to try real whipped cream next time). Using cool whip provides an excellent and subtle balance between the richness of the cake and that of a delicate, less heavy topping. You hit a home run with this one. I have already been requested for a repeat performance for Easter dinner. I’m sure real whipped cream would be fabulous! Perfect with your Easter dinner. i should have added, i also use whipped cream — no reason *scrimping* on the calories …. the real thing, for sure!!! Made this yesterday for Thanksgiving. Made it as a layered (3) cake with pineapples between the layers. Made cream cheese icing and topped it off with freshly grated coconut. I will make this cake a thousand times. Next time it will be two layers only. Three was too big. Box cake was used….everyone thought I made it from scratch. Freshly grated coconut? How can it get any better than that? Great idea along with the pineapple. Must try both. Thanks for writing. This is the FIRST thing I pinned that I have actually made!! It was incredible. I followed all instructions, however I made home made whipped cream for the topping and sprinkled with bagged coconut. (I have an abundance I needed to use) This is not overkill with flavor what so ever, and it comes out like a gourmet cake!!! It received an A++ from my husband and my 80 year old mother that lives with us. Then teenager still has not ventured beyond chocolate…Thanks for posting!! Our grocery has two sizes of the cream of coconut. 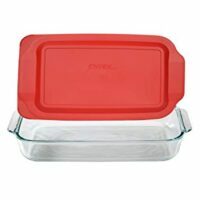 Did you use the 7.5 oz or 15 oz size in your recipe? Living in a big city(LA) you think cream of coconut would be easy to find. Naturally i started out in the asian section of my local Ralphs but no luck. My local japanese and korean market also only carry coconut milk. However i remembered when i tried my hand at pina coladas! 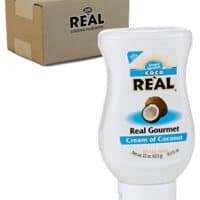 If you check the Pina colada/MArgarita section of your grocer or head to “bevmo” you can find “Coco Lopez Cream of Coconut”!! Can’t wait to make this cake for my Grandma’s 81st bday!!! Hope your Grandma likes it as much as we do. Love, love cream of coconut. Like to add it to yogurt, and it’s also good in V-8 when it has been heated. Ok, tried it again with a different brand of coconut milk-Thai Kitchen this time. It was much more runny and what I would expect coconut milk to look like. The consistency of my cake mix was still very marshmallowy, lol, and is bumpy in the middle after baking-is that normal? No, it was thick all the way through. It defintely said “Coconut Milk” on the can. I googled it and it sounds like different brands can be different consistencies, although there is nothing on the can to indicate any difference. My Wal-mart only had the one brand, it was called “Golden Star”. I will check Kroger next time, maybe they have something different. Just made this cake for the second time 🙂 First time around, I forgot the coconut milk. I’ve never used it before, but when I opened it, I was surprised to see it had the consistency of cake icing. Apparently, there are different kinds? I expected it to be watery, like what you pour out of a coconut. My cake batter ended up being a lot like marshmallow fluff and fell in one corner. It tasted great, but you might want to let people know to use the liquid kind of coconut milk. 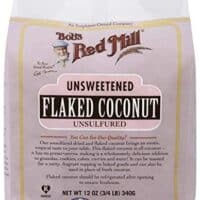 Did you mix/shake up the coconut milk really good? The cream does rise to the top. It is like milk once you mix it up. You weren’t using cream of coconut in the cake itself, were you? That only goes on top. It IS the consistency of cake icing and is quite sweet. This looks great. I also hate being disappointed when ordering a piece of coconut cake only to get a plain white cake with just coconut on the outside, no real coconut flavor throughout. This looks like it will solve that problem. Only, I couldn’t find coconut cream at any of our local grocery stores. However, I found coconut putting mix (instant). So I’ve got the cake (with coco milk) in the oven. Will blend pudding mix, and pour that over the cake before the pudding sets. Hopefully it will do the trick. (I’ll letcha know!) Thanks for the recipe! It was a little less “coconutty” than I’d guess coconut cream to be. However it still tastes good. It was also a bit hard to get down INTO the cake, but I just spread it, let it soak a bit, spread it some more, let it soak etc. Made for a good cake. Will keep looking for the “right” stuff though! You’re welcome, Megan. Definitely one of my favorites. We’ll be eating this Saturday! I’ll let you know how it turns out! THANK YOU for the inspiration! I hope your coconut cake was fabulous. Sure sounds good. I made this cake today, and it is AMAZING! Both my husband and I loved it. I did it exactly as told in here. But I don’t like this type of frosting, so I did a cream cheese frosting, using cream cheese, butter, sugar, vanilla and the remaining of the coconut water. Also, I toasted the coconut. This cake is to die for! This was fantastic. I’ve been complaining for years about coconut cake; I would see it on a restaurant menu, and get excited, order it, then be disappointed in the lack of coconut flavor. Basically, pastry chefs seem to think that a white cake with boiled frosting has the right to be called “Coconut Cake” if you slap a little coconut on the outside. Grrr! 🙁 THIS cake, though, is really flavorful! I did make one change: I don’t like Cool Whip, so I used a stabilized whipped cream, and I flavored it with coconut flavoring. It’s very easy: 4 oz cream cheese (room temp), 1/4 C sugar, 1/2 tsp coconut flavoring, pinch table salt. Cream them with your electric beater/mixer, then add 1 C heavy whipping cream, and beat until stiff peaks. Makes the perfect amount to frost this 9×13 cake. I also lightly toasted the flaked coconut. Sublime! Thanks for sharing this. It’ll be my “go to” coconut cake from now on. I’m so glad you shared your recipe for the frosting! It sounds much more flavorful and also longer-lasting. Thanks for sharing. For some reason I wasn’t able to reply to your email but – It’s not the calories that bother me about the cream of coconut ingredient – it’s just that my family and I don’t like cakes too sweet and so I was hoping it was only like cream (unsweetened) but its source being the coconut. Because the recipe calls for using a cake mix, there’s no way to subtract some sugar from the cake to make up for the sweetness in the cream of coconut. I also agree that the cream of coconut sounds like it would make the cake extra special. From what you tell me the cream of coconut is very sweet so I’ll probably opt for coconut extract (I’ve had good results with that before). – Thanks for getting back to me so quickly. Hi Sonia, I think that cakes mixes are generally too too sweet so when I use them I always add about 1/2 cup cake flour, a dash of salt and whatever the leavening on the box is, about an extra 1/2-1 tsp. I have been doing this for years since I volunteer at a homeless place every week and they always want me to bring in one of my cakes. The extra flour makes the cake less sweet and able to stand up to an intensely sweet frosting, which they love. I think today I will try this one. I’ll let you know how it works out! Will the coconut cream make the cake any sweeter? I believe the coconut milk is unsweetened (right?) but – I’ve never used cream of coconut & don’t know it it’s sweetened but I’m asking because I prefer cakes that aren’t too sweet. Did u see on pinterest the easy breezy way to make coconut whipped cream?? I’m sure it world be fab on here as well! Great cake!! Made this and blogged about it at http://www.blestnest.blogspot.com/2012/01/viva-las-vegas.html . Great! Thanks for the recipe! Vicki, Great job with the coconut cake! Our house is still under construction but as soon as it is finished, I’ll send a picture. 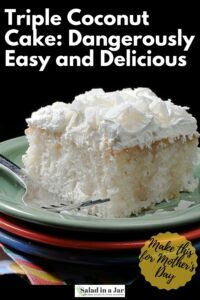 My dad has been bugging me to make a coconut cake for a few weeks now, and I really want to try this out! I found your site via Annie’s Eats… so happy! I am going to make this for my dad’s birthday. I wanted to use mason jars and make individual servings. I am going to make a lemon cake in a jar also. His two favorite desserts. I will have to experiment with baking times. Can’t wait to make this cake for a party tomorrow night. Do you suggest leaving it in the pan to serve out of or can I put the whole cake on a platter before putting on the topping? I made this for a monday night activity we have with some friends and all i (and they) can say is OMGOSH …. this is awesome, delish, more delish and more awesome …..
Darlene, Glad to share the misery of having such deliciousness to tempt me in the house. I made it yesterday and blogged about it tonight. Oh my word! DELISH! Thanks for the recipe. I just got my BFF’s Mothers recipe for this cake,( after asking at least 20 times!) She uses a YELLOW cake mix and adds 1 teaspoon vanilla & 1 teaspoon coconut flavoring to the mix. Also her’s calls for adding1/2 cup of coconut to the batter. 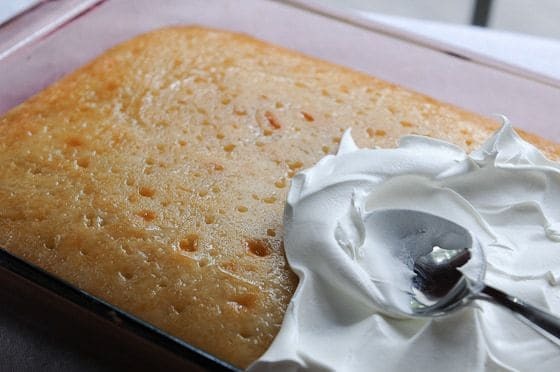 Then, to her poked holes(with a meat fork),she mixes 1/3cup Evaporated milk,3/4 cup water & 1/2 cup powdered sugar and pours over top of cake, cool & frost & sprinkle. I think it taste like a giant “Macaroon!” so wonderful! 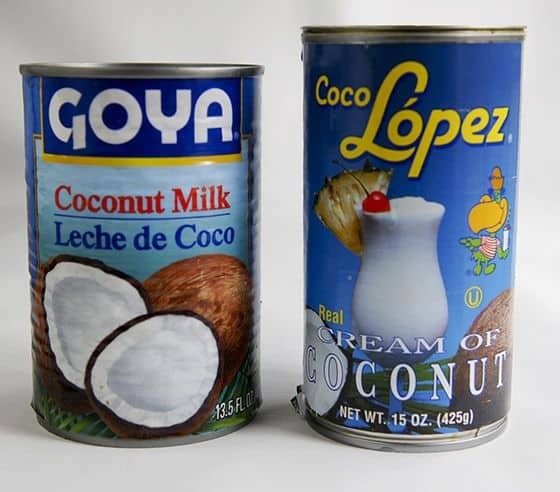 I have never used, but will try the Goya milk and cocoL`opez cream of coconut on my first try!!!! Thanks for the easy tip! J.S. I love your description of the cake as tasting like a giant macaroon. Can’t think of anything much better. It looks extra coconut-ty… ! Brilliant idea. A coconut milk for a cake. Sounds great. My friend gave me a recipe like this to try, but she combines sweetened condensed milk and cream of coconut together to pour over the cake. I might just have to try your version and her version. I love the idea of using coconut milk in the cake instead of water. Jenn, Sweetened condensed milk AND cream of coconut?? Wow, that would be some sweetness for sure. Kinda makes my sweet tooth ache to think about it. Let me know which you like best if you try them both. 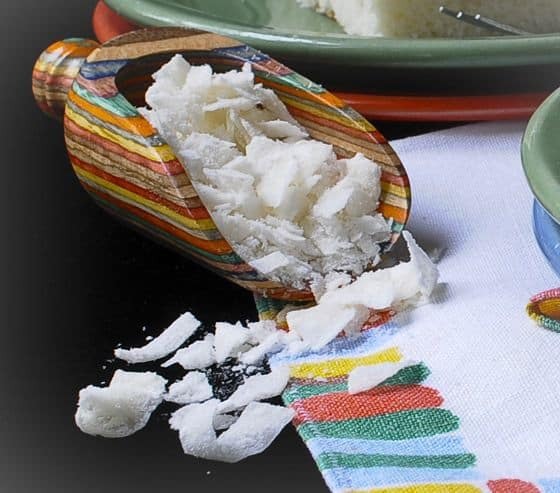 I absolutely love coconut so I can not wait to try this recipe! How did the texture come out? Did the milk and cream give the cake the same texture as a tres leche cake? Nyssa, I’ve never made a tres leche cake so I’m not sure how it compares. It is extremely moist, even damp where it soaked up a lot of the cream. Reminds me of a trifle in a pan actually. A wonderful treat! I bet this cake made a lot of people happy! Paula!! The cake looks wonderful, I am honored you put it on your website. I can’t wait to try it using the coconut milk (since you didn’t bring us a sample at work). I really NEED that scoop you have the shaved cocnut in…I love it!!! Where did you find that thing? Amie, I’ve had it for awhile but I got the scoop at Ashers in Arlington. Yum, Paula! You crack me up about the midnight run to the store, only because I am the same way! This looks amazingly delicious! I have been wanting to make this cake, only a full layer cake. 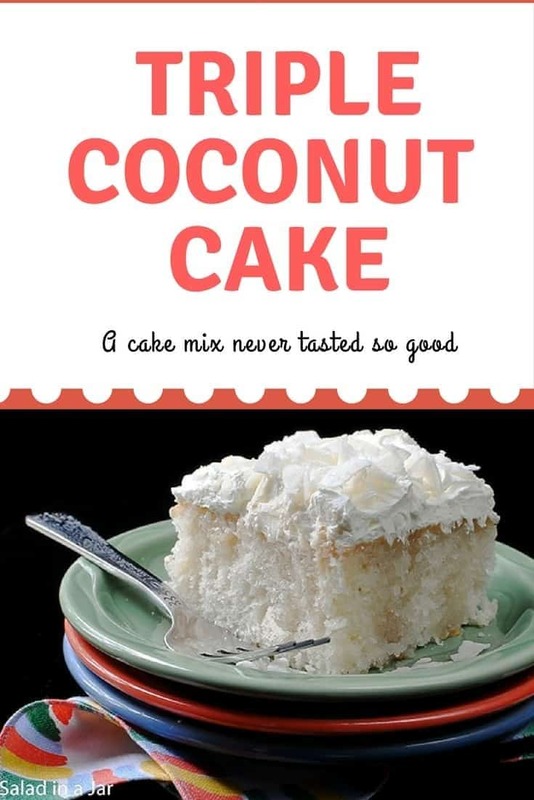 My grandmother used to make a coconut cake that used a real coconut. I watched her make it once and she used the coconut milk in the cake and she used the coconut, shredding it. It was really rich and moist. My sister-in-law introduced me to this cake just a little different but so similar. I love it and so does all who eats it. I made your honey wheat bread recipe, it was good but didn’t rise much due to my home ground wheat I think. I think I try it with half the wheat and see how it works out for me. BTW your photos of this cake look wonderful. Another fantastic recipe!!! 🙂 This makes me think about my grandmother. She used to make a delicious cocunut cake every Thanksgiving. This one goes in my recipes to try file. A very tempting cake……..I love baking cakes but not very much into coconut…But your creation caught my eye….awesome..!!! I adore coconut! And I hate baking, so the fact that this recipe uses a mix is a double-yes! I am so making this. Wow, Paula, this looks and sounds fantastic. I love that you can use a mix, because like you, sometimes I’m scrambling for something quick to make and hate buying something when I can bake! Simple and delicious. Perfect for a non-baker like me. 🙂 I have never used Cream of Coconut, but you can be sure it will be added to my next grocery list. Sitting here at 8:30 pm trying very hard to loose 6 more pounds and ignore the gnawing in my stomach and I happen upon your post and this enticing and delicious looking cake. Good thing I don’t have the ingredients and that I also would rather do push-ups than run out to the grocery story late in the evening because I I just might have shuffled into the kitchen and whipped up this recipe. Kristen, Of course you can use the shredded coconut. The shaved just looks a little fancier but nothing at all wrong the with shredded or flaked. Thanks for asking. How simple yet delicious looking! I love baking from scratch as well, but you’re right, the white cake never seems to come out right. I think the coconut substitutions will make was a delightful treat. This looks so easy, and the fact that pantry items are used makes it a great treat for last minute needs.